It’s almost time for the Isle of Wight Festival 2018! We at The Wight Holiday Company are super excited for the festival this year and have lots of self catering accommodation guests staying with us to enjoy a bit of rest and relaxation away from the hustle and bustle of festival site life. Well we all enjoy the Isle of Wight Festival but sometimes need a bit of down time too don’t we…? 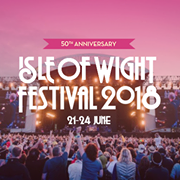 If you would like to join the festival atmosphere but retreat for a little peace and quite before hitting the fun and music again for round 2, why not pick a The Wight Holiday Company self catering holiday accommodation. We have a range of properties to suit all needs and budgets across the Island. We can arrange discounted ferry crossings with both Red Funnel and Wightlink, provisions packs to be in properties for your arrival and anything else that you may require for your stay.